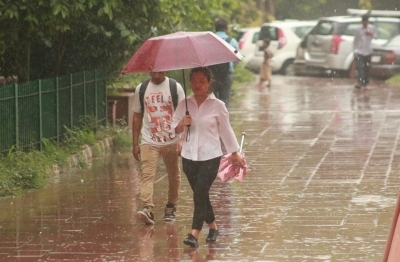 New Delhi, July 17 (IANS) After a long spell of hot and humid weather, light rain in parts of the national capital on Monday brought the much needed relief to the people. With the showers, the mercury came down marginally, the minimum temperature settling at 28 degrees Celsius — from 29 degrees Celsius on Sunday. The maximum temperature on Monday was recorded at 34 degrees Celsius. 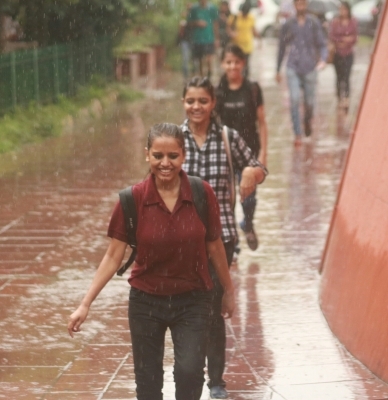 According to the India Meteorological Department (IMD), 20.2 mm of rainfall was reported at Safdarjung observatory at 2.30 p.m. and there was possibility of more rain towards the evening. The sky will generally remain cloudy for the next 18-24 hours and the maximum temperature is expected to go up to 34 degrees Celsius, said the Weather Office.